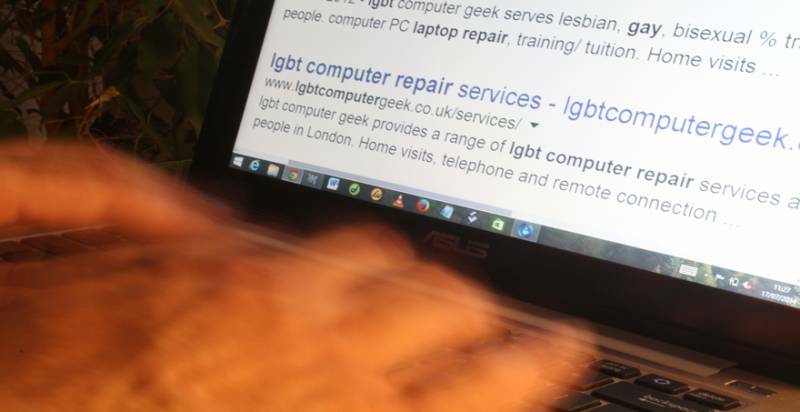 lgbt computer geek can help you get to grips with a new computer or software. With a huge amount of experience of delivering training and educational courses I can help you gain more skills and increase your confidence levels, so that you’ll be emailing, searching, blogging, shopping, Skyping and more. I’m an experienced workplace trainer, and adult education tutor, having worked with a wide range of people with widely varying levels of ability. Hugely patient. 1-1 support, so you get maximum attention. Training / tutoring using your PC, and your software, so I can help you to set-up and personalise the various options in your software. Work out the sorts of things you want to achieve, perhaps with your new PC/laptop or software, and I’ll help you achieve it, step by step. Training may be offered remotely as well through an on-site visit to your home or office. Visit the training and tuition page for more information or contact us to book your session(s).